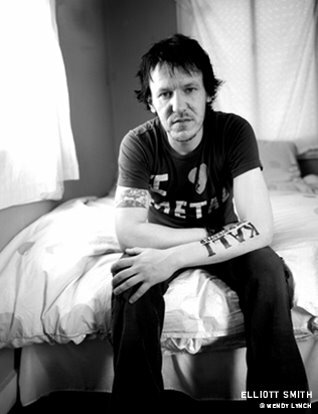 Elliott Smith is definitely one of my favorite artists all time. His songwriting was beautiful and his lyrics were so real and unpretentious. Elliott battled with addiction and depression for years, and was found dead in late 2003 from 2 stab wounds to the chest. I think it’s generally considered a suicide, but I’m not sure if that was ever made official. If you haven’t heard him, check out pretty much anything he’s ever recorded. For fans, I’m going to post some rare recordings and live performances eventually. For now, I found this video of footage from his memorial. Really sad stuff. I’ve probably watched it 5 times now and I get goosebumps every time. I also added some of my favorite Elliott songs, including the one playing in the background. It’s really hard to choose because I like pretty much everything he’s done. Hit me up if you ever want to talk about Elliott or if you’ve got any rare recordings/footage.